Flying Hammer Wood Working -- handcrafted solid wood ornaments, wine stoppers & wine corks, bowls, vases and more. These items are one of a kind and only available at the Flying Hammer Wood shop! Free candle with every order, while supplies last. 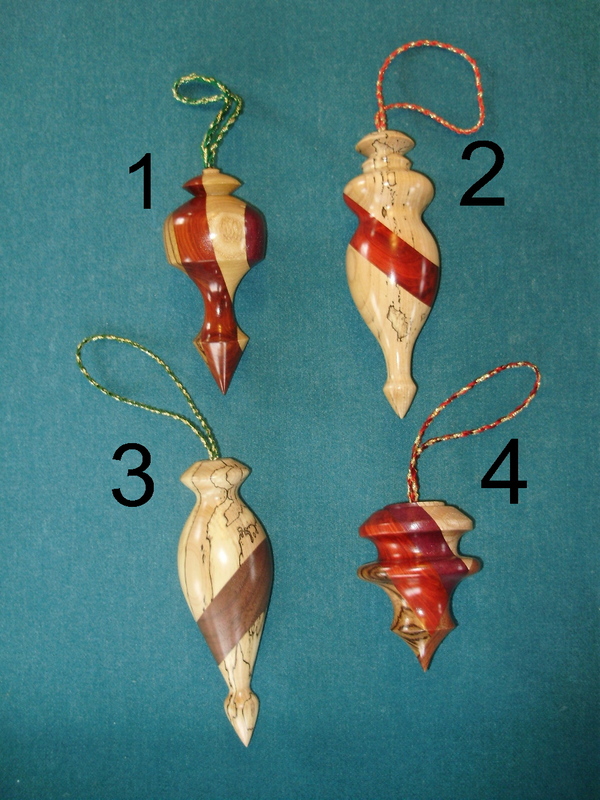 Ornaments vary in size from 3.5 to 6 inches in length. Prices include shipping & handling. For the wine lover on your list! 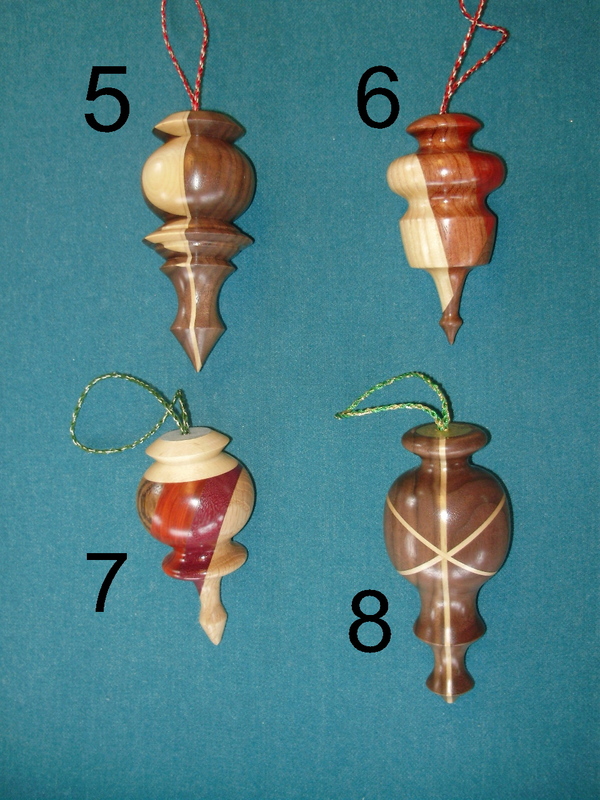 #1, 2, & 3 are wine stopper/corkscrew combinations. #4 & 5 are wine stoppers. Come back often as we are continually getting new, unique products. "It's like visiting Christmas all year long!"